People often ask, what is your favorite time of year? Well when it comes to being in London, it has to be spring. 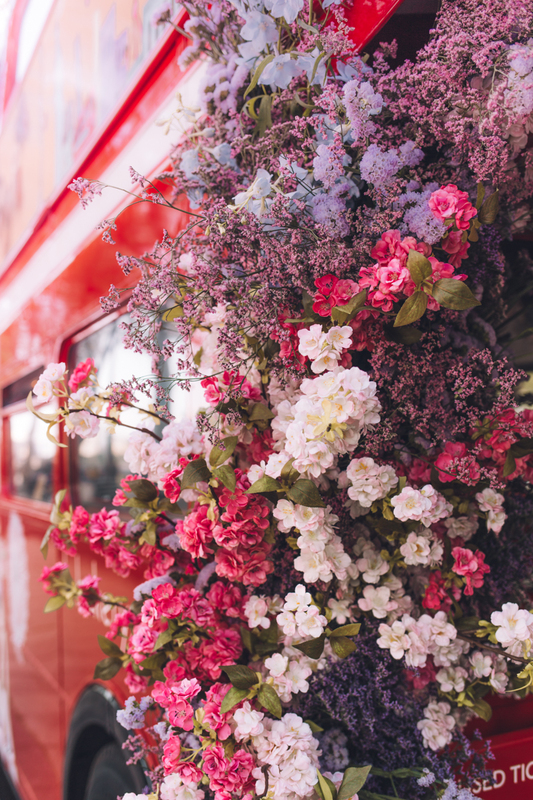 London is in full bloom is spring, with Wisteria covering houses, blossom trees sprinkling petals across the roads and of course all the shops coming out with their flower displays. 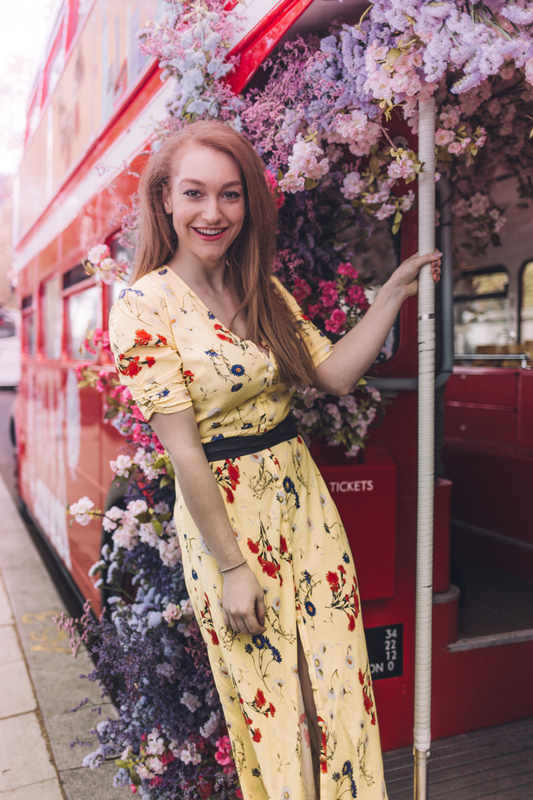 Well one thing I didn't expect to get hit by flower fever was the London red buses, and yet, as I turned onto Victoria Embankment, there was a very floral red bus. 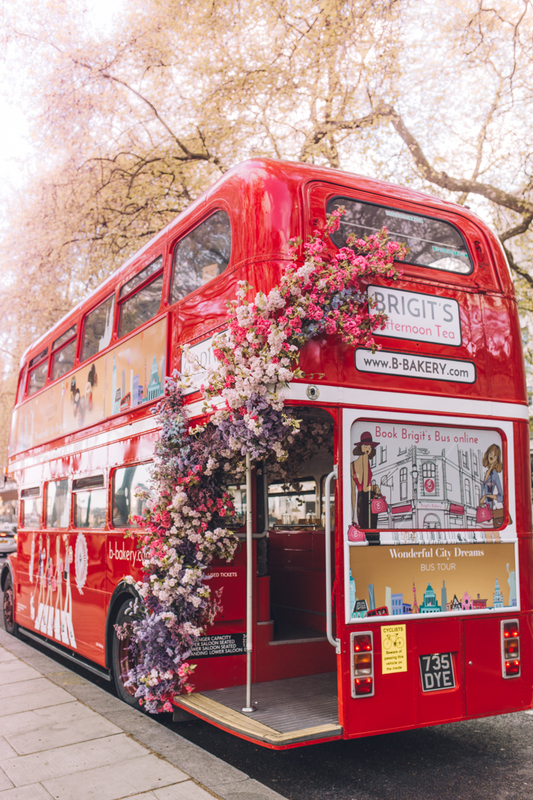 Now sadly this isn't just the new look for the regular public transport, but instead, a special afternoon tea bus to celebrate the launch of Godiva's Wonderful City Dream collection. The Wonderful City Dream collection is all about honouring the home cities of Godiva’s chocolatiers. There is New York for chef Thierry Muret who has chosen caramel cheesecake flavour, chef Philippe Daue from Shanghai has created a white chocolate ganache with lychee and roasted hazelnut chocolate. For Tokyo's chef Yannick Chevolleau he has created a caramel, orange and Yuzu milk chocolate ganache and finally Chef Jean Apostolou selected a white chocolate filled with strawberry and violet ganache to represent London complete with the iconic red double-decker bus as the decoration on top. 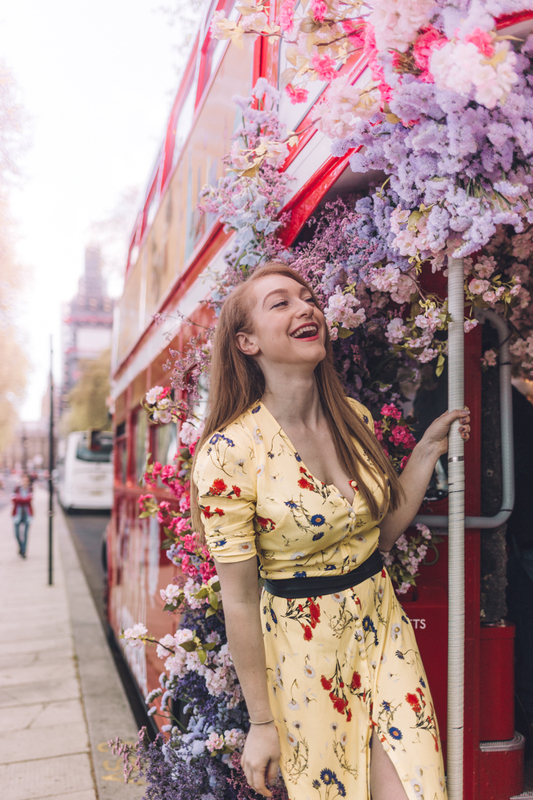 To celebrate these dreamy new chocolates launching, Godiva has put on a bus tour around London, complete with afternoon tea featuring dishes from each of the chocolate cities. 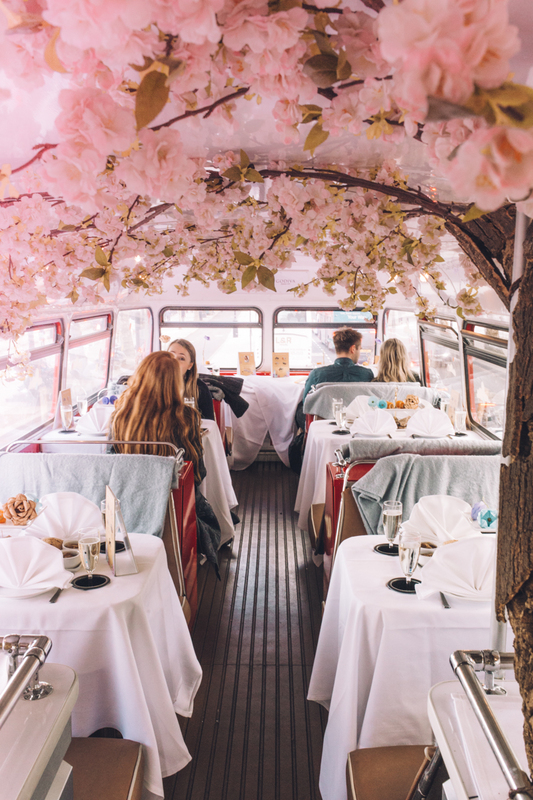 But first, how dreamy is this bus? Can all buses please be like this in future? 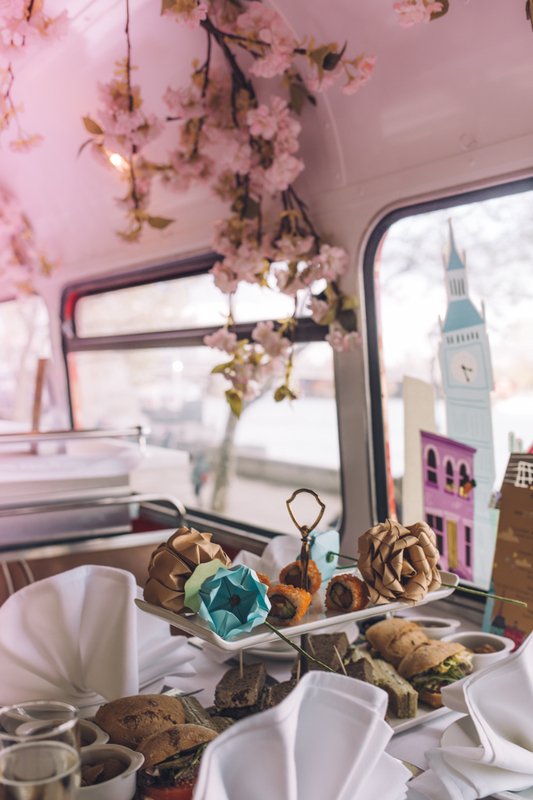 This was is actually a specially designed afternoon tea bus by a company called B Bakery. 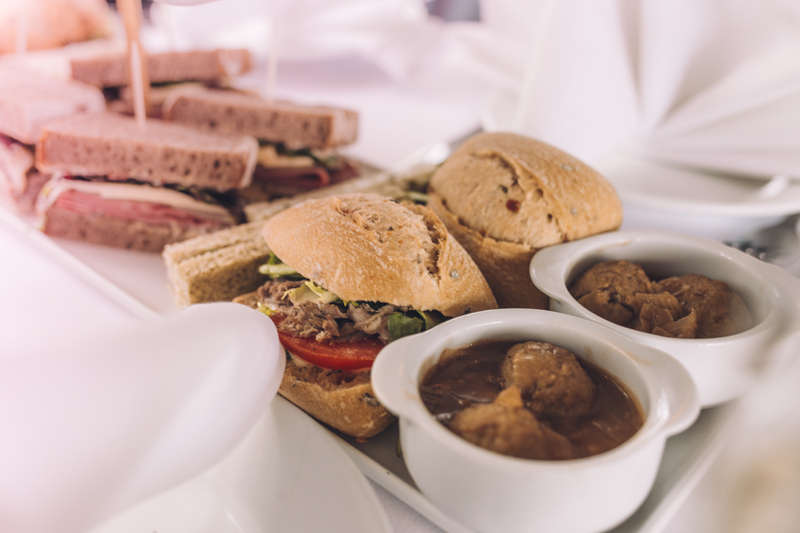 They do afternoon tea bus tours and when they look like this I’ve already promised my mum I’ll take her on another one. This tea though had a slight twist. Each item represented the country a chocolate cake from. So we had things like sushi for Tokyo and pastrami on rye for New York. One of the more unconventional pit stops was to the Godiva Regent Street shop. Now when I say we basically got free reign I kind of really do mean it. It was every girls dream! As well as trying all the classic Godiva chocolates and a few of their famous chocolate dipped strawberries, I finally laid my hands on the Wonderful City Dreams collection. Now no word of a lie, they really are incredible chocolates. Usually there’s one or two in a box that I don’t like, but not this collection, I loved every single one. It’s a very summery collection, as they are sweet and some very fruity. I’m not just saying this as I’m from London, but the London chocolate is far my favourite. Honestly I could eat that one again and again. Tokyo did follow in a close second though- yuzu if you aren’t aware is a fruit. It’s sort of like a mandarin I guess, but either way it tastes amazing. Oh but before I left I really did need to try one of their chocolate shakes. My god it’s insanely good but how you can drink one and not feel very full is beyond me. It’s cream, ice cream, Godiva chocolates and chocolate sauce. 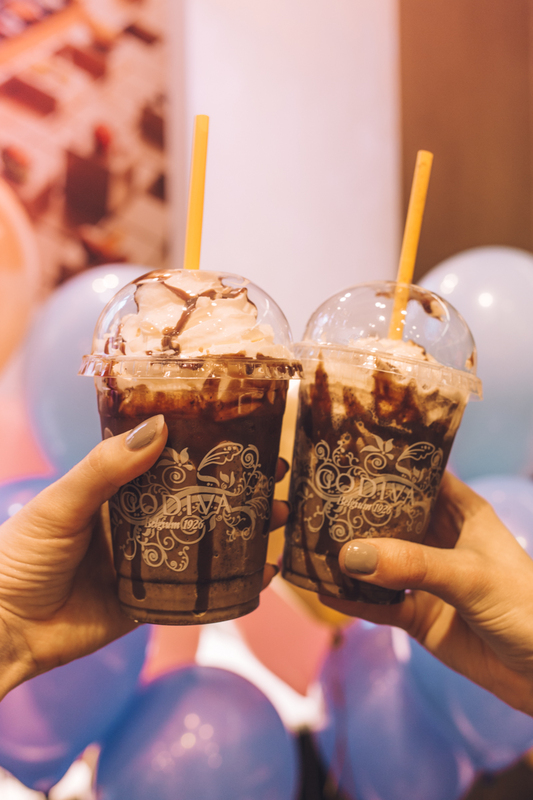 It’s heaven but maybe share with a friend? 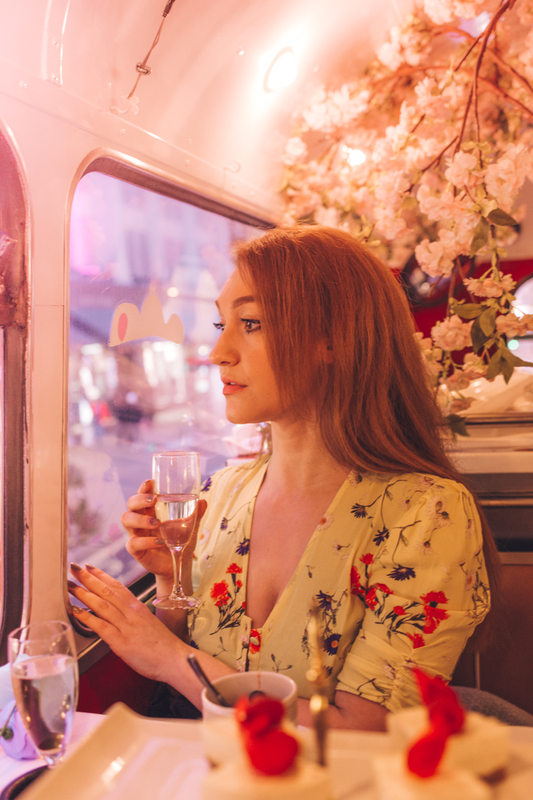 As the bus took us around London to see it’s famous landmarks, it felt quite surreal drinking a glass of prosecco on a London red bus. I can’t wait for the sun to come (ok make that stay) out so I can have some picnics in London’s amazing parks. This chocolates would be the perfect addition to one. Or maybe even at any Royal Wedding parties you are having this weekend? I can’t wait to see that! I'm totally craving a chocolate shake now! It looks so pretty! All that amazing food and you look stunning as always!